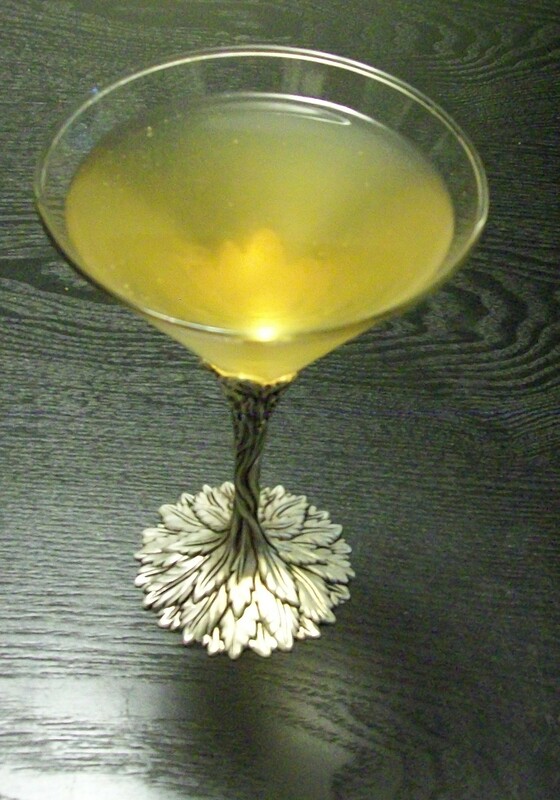 Revive yourself with The Poisoned Martini’s first Cocktail Special–perfect for Halloween–the Corpse Reviver no. 2! Dating back to the 19th Century, Corpse Revivers have been the sort of pick-me-up drinks gentlemen would imbibe in the morning. Likely to “recover” from a night of debauchery. Four such named drinks have survived to more modern times, but this one, the no. 2, is considered the most popular. Pour equal portions (1 ounce each) of gin, cointreau, Lillet Blanc, and lemon juice in a shaker over cracked ice. Add in a dash of absinthe. Shake well, and then strain into a cocktail glass. A maraschino cherry may be used as a garnish. How I like it: Now, one might be tempted to use substitutes. Lillet Blanc, anyone? Not the easiest ingredient to find. And Absinthe has only recently been made available in the United States. So yes, Triple Sec could be used for cointreau, an ice wine or late harvest Reisling could be used in place of the Lillet Blanc (or so I hear), and Pernod could be used for the Absinthe–and often was when the latter wasn’t legal in the U.S. However, you would not be tasting the same drink. Just a pale variation. Truly, give it a try with the proper ingredients and proportions as above. This truly is a unique drink with a wonderful–and intriguing–balance of flavors.